This clever vertical storage system can hold up to 56 bottles of paint* in a minuscule 4" diameter space, putting the otherwise wasted airspace above your work area to good use. 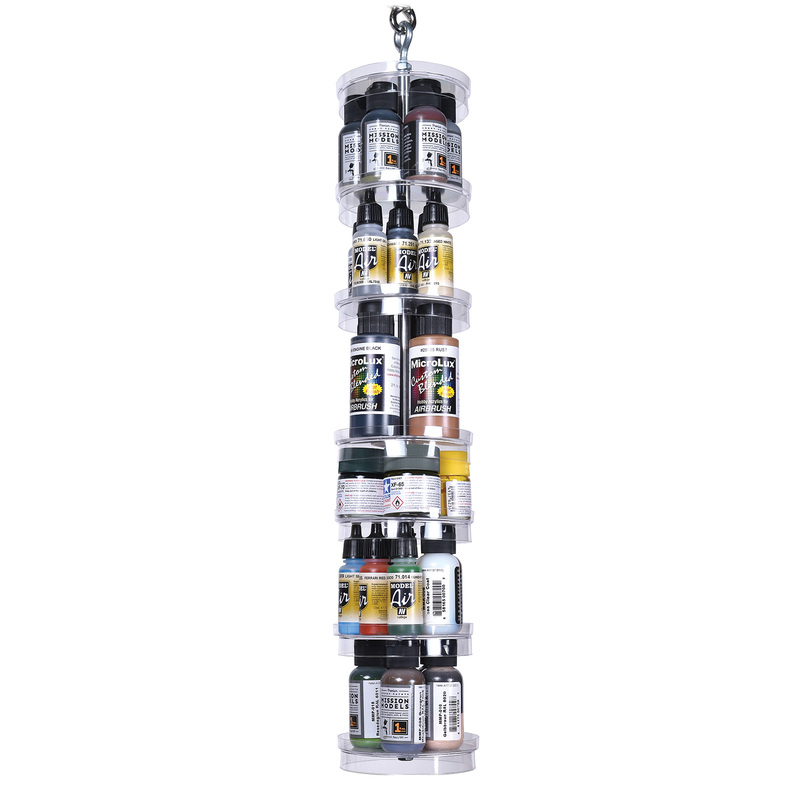 Hung from a pegboard or suspended from the ceiling, this 21" tall tower neatly stores virtually all brands of hobby paint, including Acrylicos Vallejo, Mission Models, Micro-Mark, Tamiya and more. Includes 7 adjustable shelves, hardware and swivel hook. *Acrylicos Vallejo 1/2 oz bottles.